Built around 50 years ago and barely touched since. 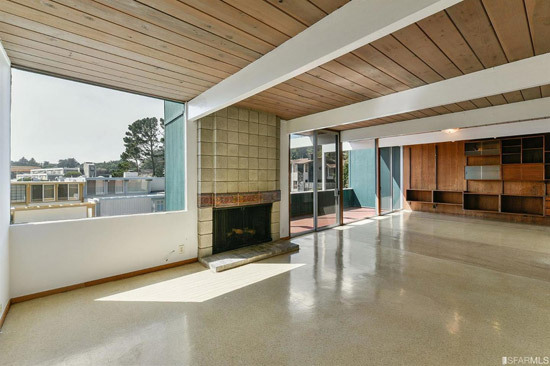 This is a 1960s Eichler time capsule in San Francisco, California, USA. 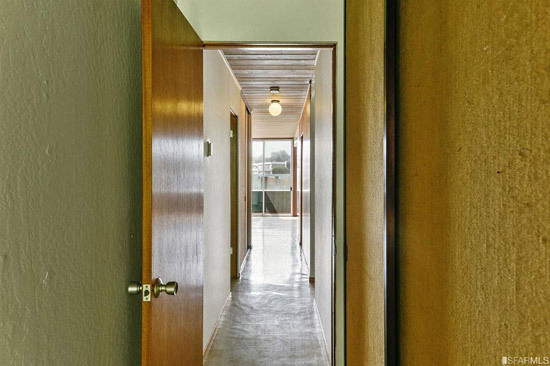 The agency describes this house as ‘mostly original’ and on account of it being offered for sale for the first time in 50 years, that is highly believable. 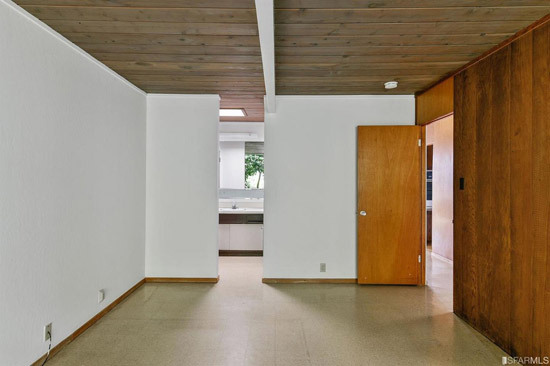 Of course, this isn’t a typical ‘Eichler’ build. 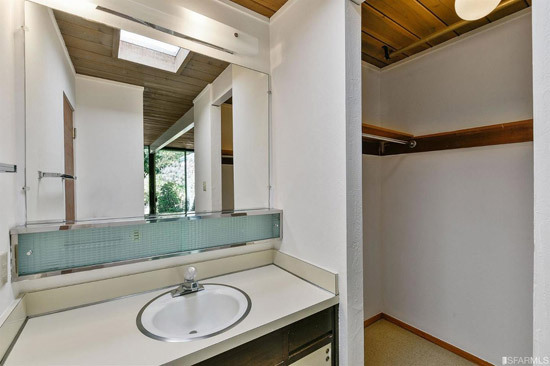 You are probably thinking of something single storey and with a pool to the side and the back. 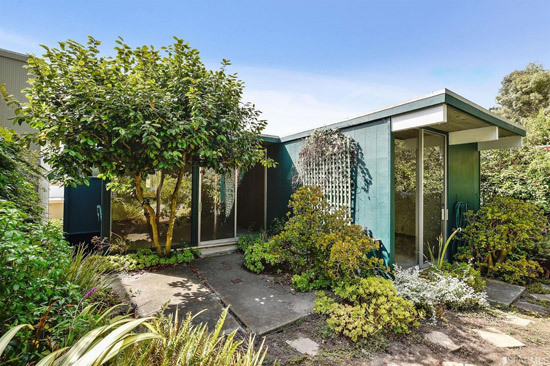 But this one is in San Francisco, so not the typical Eichler location either. 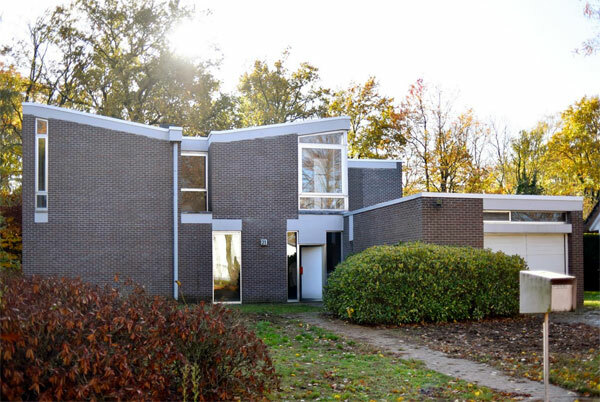 Instead you get something more on the modernist side of midcentury modern for this 1965 build, which is rather appealing to these eyes. 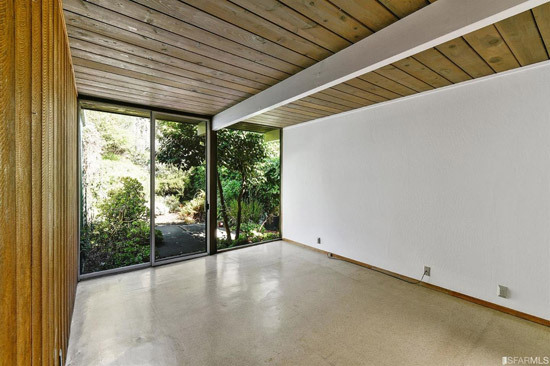 Although you are still talking post and beam, as well as floor to ceiling windows, which is certainly Eichler territory. 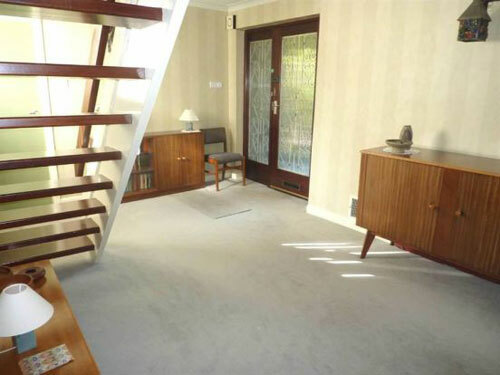 The agent also has it down as needing a renovation, which, to be fair, it probably does. 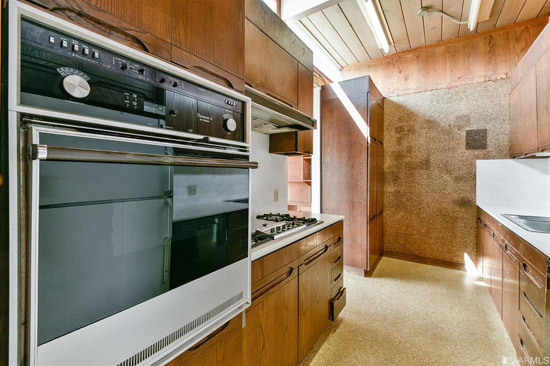 Some of the finishes are starting to look their age and the kitchen, whilst appealing in a 1960s sort of way, might not be ideal for a modern-era family. 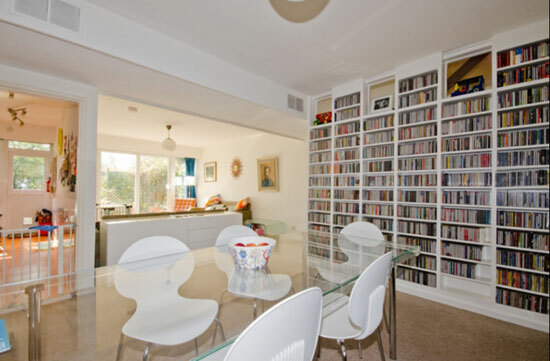 But beyond that, the house is certainly a wonderful basis to create something rather special. After all, how often do you find something so untouched and packed with period detail in a major city location? Not often, that’s for sure. 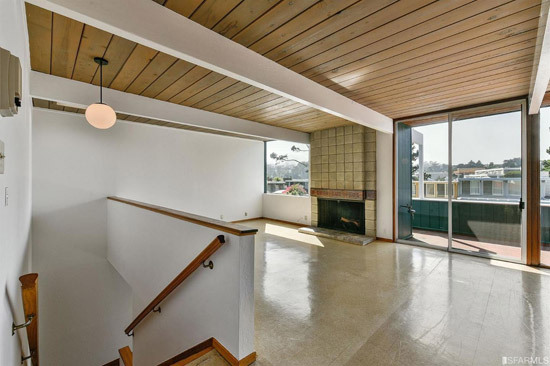 Talking of those fittings, I’ll include that kitchen, but also the living room fireplace, the original built-in storage, the internal doors, light fittings, bathroom detailing, laundry and more. Some of those can certainly be preserved. 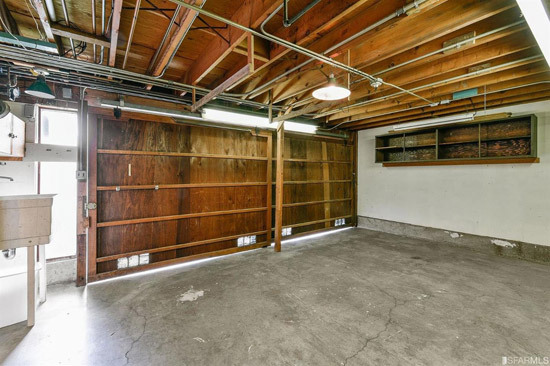 You get around 1,420 sq. 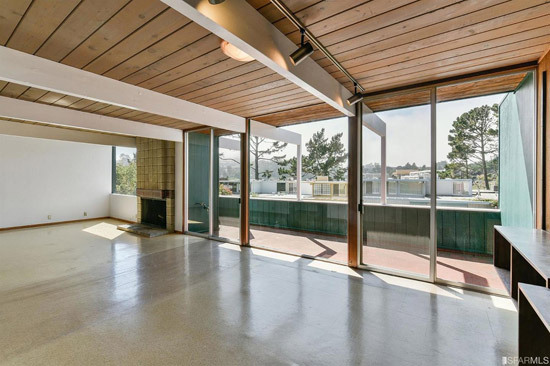 ft. of living space too, which includes the ‘expansive’ living room and dining area, complete with wood and beamed ceilings and walls of glass that create a ‘seamless transition’ of interior and exterior. 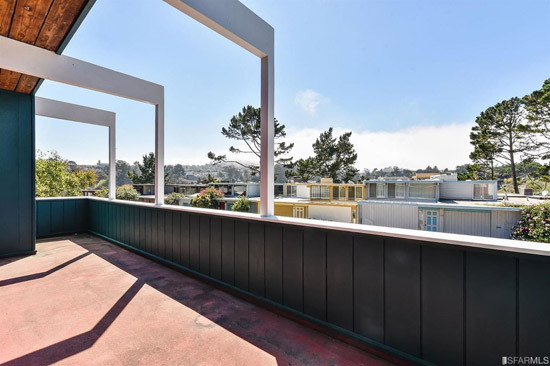 There’s also a large concrete block fireplace here, while a large deck gives you some great views and added outside space. 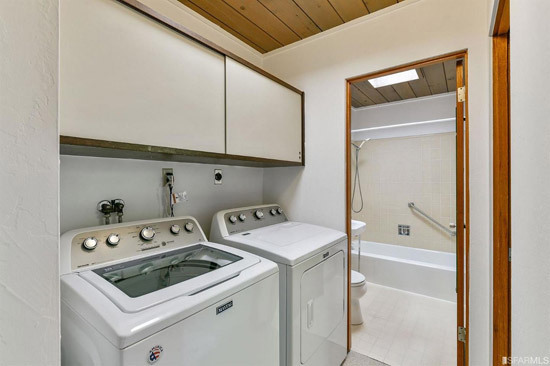 Beyond that you get the kitchen, three bedrooms, two bathrooms and a private rear yard, along with a two-car side by side garage, and ‘abundant’ storage space. 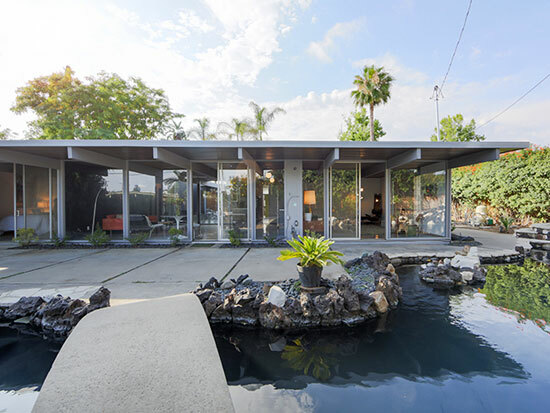 A modern house from the 1960s that really does still work several decades on. 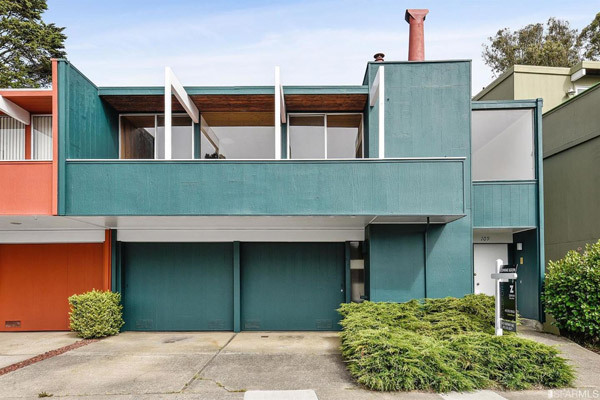 Perhaps even that shade of teal still works on the exterior? Who knows. That’s probably down to personal taste. Buying this also comes down to price. 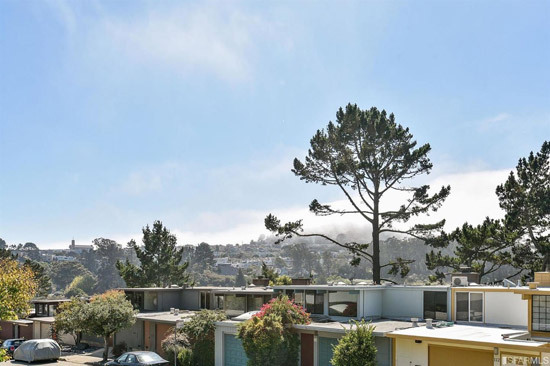 You will need around $1,129,000 to pick up this one – plus the cost of the renovation work. Images and details courtesy of Jack Bernstine. For more details and to make an enquiry, please visit the website.